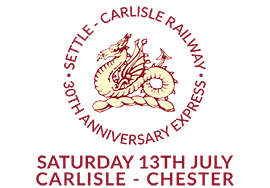 The Settle-Carlisle Railway Development Company provides news, information and images to members of the media. If you wish to be included in our Press Release mailing list, please email your details to drew@settle-carlisle.co.uk. You can also contact us by telephone on 01729 825888. If you are not a member of the media and have an enquiry about the train service, please call 08457 48 49 50 (24 hours). Please note, we promote the railway on behalf of the current train operating company and are not involved with steam excursions.